Raleigh real estate developer Gordon Grubb has entered into a joint partnership with Florida-based Stiles Residential Group to build a new luxury-style apartment community overlooking the prestigious Carolina Country Club property. 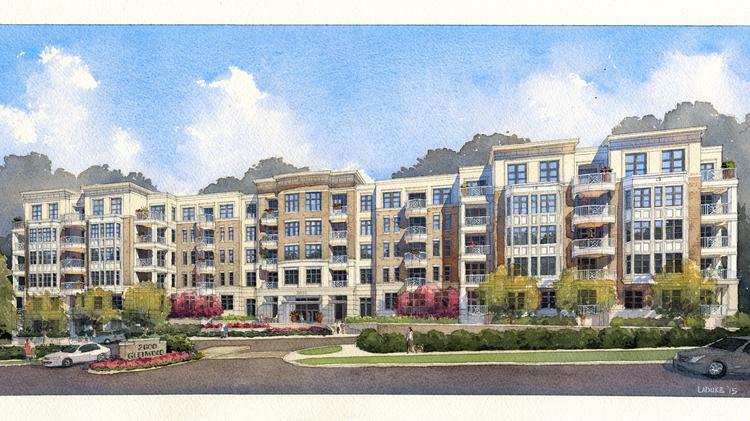 The 186-unit, mid-rise property, to be called 2600 Glenwood, will be located on the former Kip-Dell Homes property at the intersection of Glenwood Avenue and Oberlin Road inside the I-440 Beltline. Grubb's Grubb Ventures purchased the site from Kip-Dell Homes for $2.4 million in 2012 and continued to manage the 28-unit apartment building on the property until plans were more firmly in place for this new project. The Grubb-Stiles joint venture recently transferred ownership of the land as part of a $6 million deal. Other terms of the partnership were not disclosed. Demolition has already started on site, and new construction is expected to begin in March with the first move-ins anticipated in early summer 2017. The gated community will have a mix of one-, two- and three-bedroom units ranging in size from 600 square feet to more than 1,700 square feet with special emphasis on the higher-end, condominium level finishes and appliances. The property will also have three resident clubrooms, a café, resort-style pool, bocce ball court and a terrace overlooking the Carolina Country Club golf course. "This project is set apart by its design, spacious floor plans, robust amenity space and excellent location for a luxury multifamily rental project," stated President of Stiles Residential Group, Jeff McDonough, in a news release about the partnership. "Working with a highly accomplished partner in Grubb Ventures, we are able to bring an exceptional apartment community to the market that invites renters who require more space, quality features, high-end services and a great location. That is a rare combination." JDavis Architects of Raleigh is the project's design firm. Grubb Ventures was also the developer of the high-end Gardens on Glenwood condominium community that opened in the early 2000s near the same intersection as the 2600 Glenwood site, as well as the The Oaks at Fallon Park residential community and the 401 Oberlin apartment community that opened in 2014. The firm is also the owner and developer of Sojourn Lake Boone, a 283-unit luxury apartment community located that's under construction just inside the I-440 Beltline at Lake Boone Trail. Grubb also plans to break ground on another high-end apartment community Inside the Beltline on Woman's Club Drive later in 2016.